Light and cheap, but gaming capable? Acer combine a frugal ULV processor and a GeForce GPU in a slim case. This could result in a mobile, light, gaming capable notebook. Our review reveals to what extent this is true. 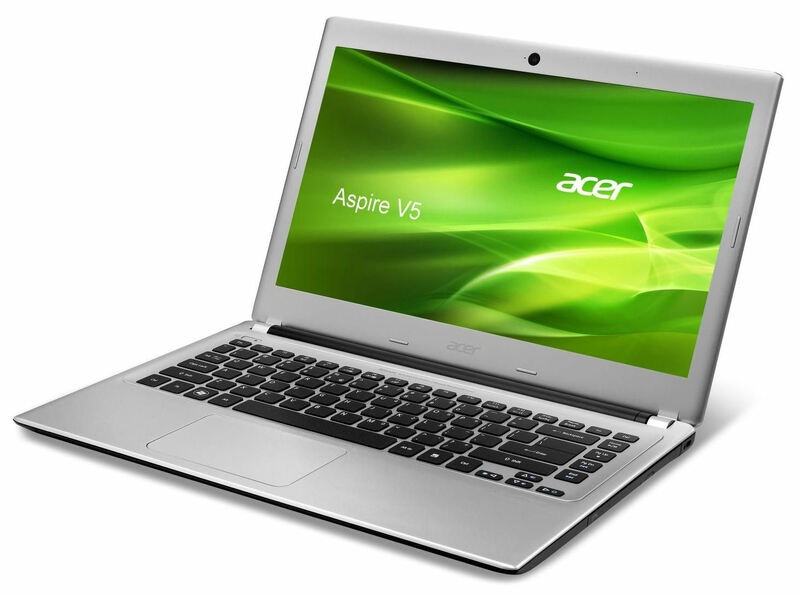 Acer's V5 series consists of several thin and cheap notebooks of the usual form factors (10 to 15.6-inch). Acer targets price-conscious customers interested in ultrabooks. The Aspire V5-471G-53314G50, is a 14-inch device which will be put through all the tests to determine its worthiness as the right pick for the consumer. 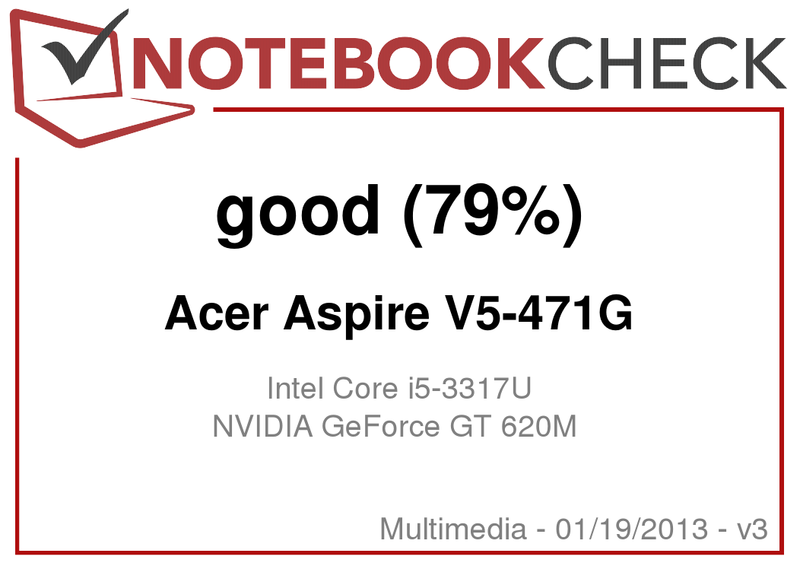 We have already scrutinized the very cheap V5-431 (Celeron 887, HD Graphics) and two 15.6-inch models of the same series, the Aspire V5-531 (Pentium 967, HD Graphics) and the Aspire V5-571G (Core i5-3317U, GeForce GT 620M). We compare the review sample to Lenovo's IdeaPad S405 (AMD A8-4555M, Radeon HD 7600G) and Samsung's Series 5 535U3C (AMD A6-4455M, Radeon HD 7500G). The Aspire V5-471G is completely made from matte silver plastic, which unfortunately leaves the impression of the device being cheap. 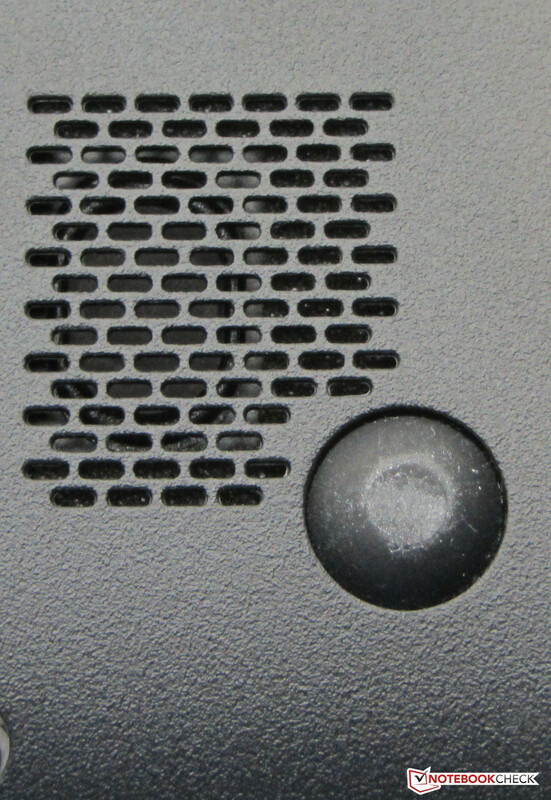 The surface if the case is not textured. 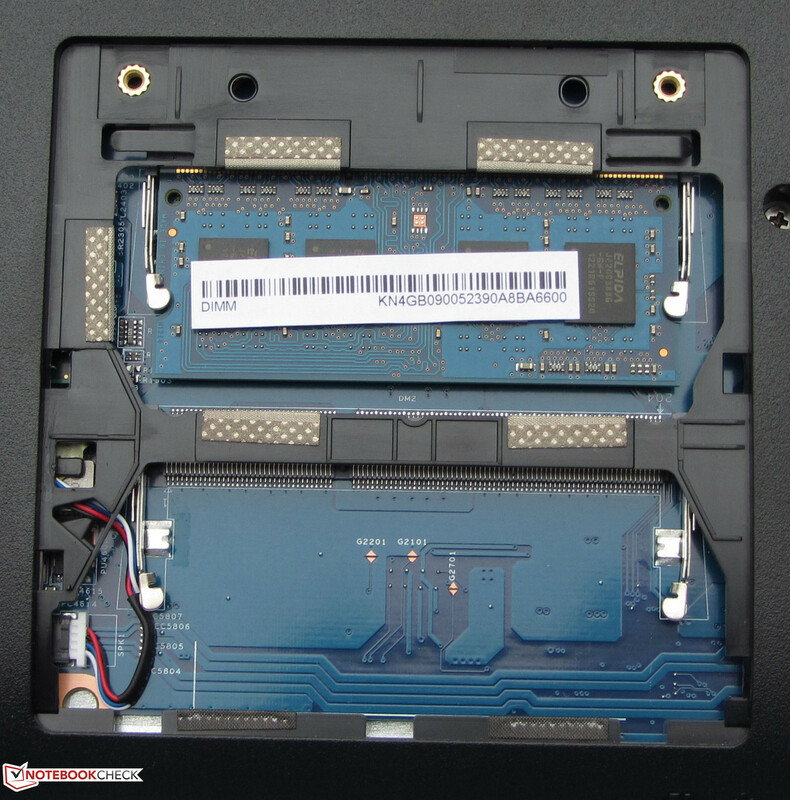 The IdeaPad and the Samsung are also completely made out of plastic parts. 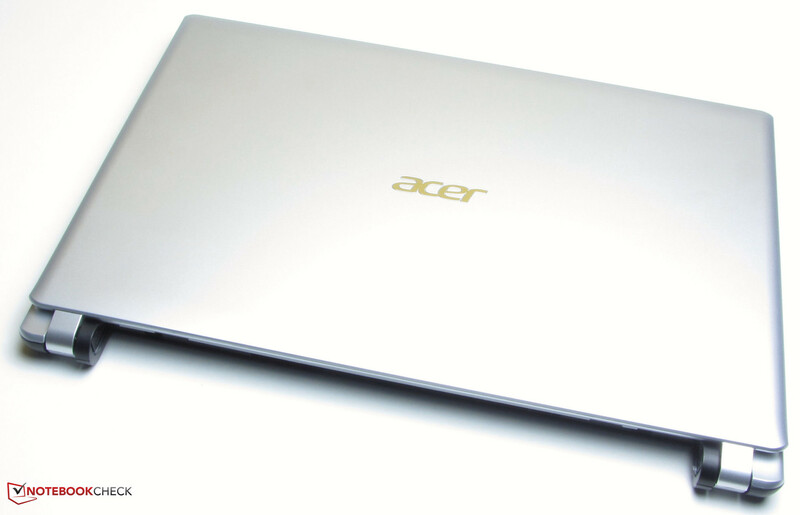 With a height of 23 mm, the Aspire only marginally exceeds the ultrabook specification (max. 21 mm) and is still very portable. 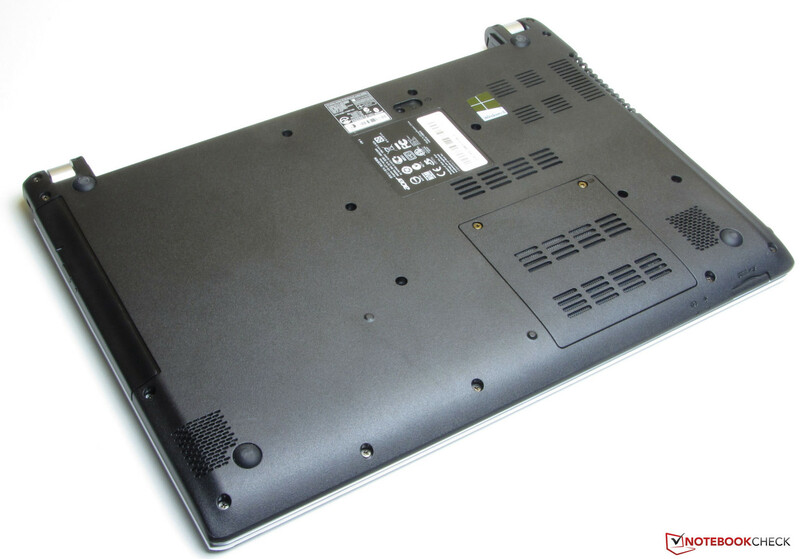 There are some places on the body of the laptop where the different components are not seated properly. 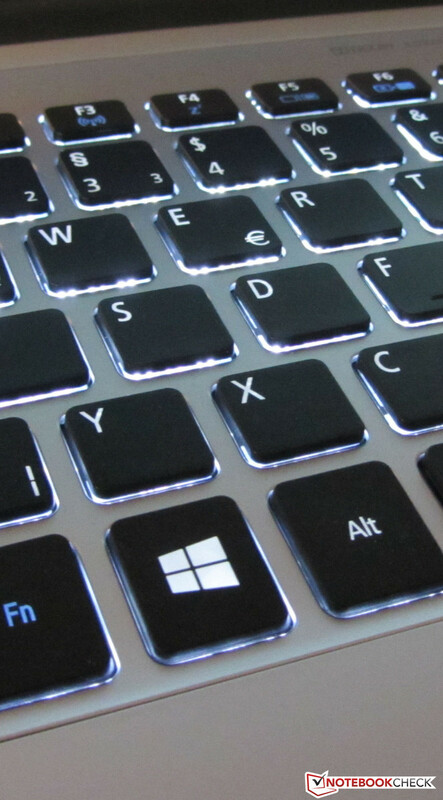 The touchpad and the keyboard bezel do not sit flush with each other. The base unit is reasonably robust and gives slightly when pressure is applied. But, the palm rests are significantly more rigid. If the base unit is picked up at its front corners, it can hardly be twisted. Even some thicker and heavier notebooks perform worse here. In contrast, the lid can be twisted much more. The hinges hold the lid securely in place, but it tends to teeter. It is possible to open the lid with one hand. The system works smoothly without any delays and the PCMark 7 benchmark confirms our experience with the hardware. The IdeaPad S405 (AMD A8-4555M, Radeon HD 7600G) and the Samsung Series 5 535U3C (AMD A6-4455M, Radeon HD 7500G) cannot keep up with the Aspire, as their AMD APUs are slower than the CPU/GPU combination of our test sample. Despite having the same CPU and a slower GPU, the IdeaPad U410 (Core i5-3317U, GeForce 610M) delivers a better result as it is equipped with a faster hard drive supported by an SSD cache. The IdeaPad S400 (Core i5-3317U, HD Graphics 4000) performs better too. Acer equip the Aspire with a hard drive from Seagate's Momentus Thin series with a capacity of 500 GB and a revolution speed of 5400 rpm. CrystalDiskMark reports a read rate of 104,2 MB/s and HD Tune shows an average transfer rate of 82.8 MB/s. Both values are decent for a 5400 rpm hard drive. Notebooks in this price category are often equipped with slower hard drives (average transfer rate: 60-70 MB/s). The Intel HD Graphics 4000 GPU and the GeForce GT 620M GPU are responsible for the graphics performance. Both graphics solutions support DirectX 11. The Intel GPU is used for everyday applications, while the GeForce GPU is used for demanding tasks like 3D games. The GT 620M GPU is one of the entry level GPUs from Nvidia with clocks at 630 MHz. Its Turbo is not activated (no increase of the clock rate to 715 MHz), in order not to overtax the cooling system. The 3DMark results are as expected. Thanks to its GeForce GT 620M GPU, the Aspire is significantly faster than the IdeaPad S405 (AMD A8-4555M, Radeon HD 7600G) and the Samsung Series 5 (AMD A6-4455M, Radeon HD 7500G) in all graphics tests. Thanks to the GeForce GPU, the Aspire is also gaming capable. Current 3D games can be run at low to medium quality and native resolution (1366 x 768 pixels). Even demanding titles like Hitman: Absolution run without stuttering at the lowest settings. Several games also run smoothly at higher quality like the Fifa series. However, if you focus on gaming, you should select a notebook with more powerful graphics, like the Geforce GT 650M and something faster. 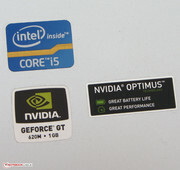 Comparable notebooks often use only the HD Graphics 4000 GPU. These can only run most games smoothly at lowest resolution and low quality. Some games will also run at medium quality. The slim case houses decent performance components. 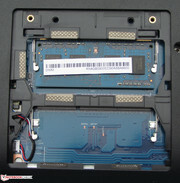 Therefore, the notebook requires a powerful cooling system whose design isn’t capable of keeping the system noise down. We already measure between 32.5 and 36.9 dB in the idle state. The IdeaPad S405 (30.3 to 31.3 dB) and the Samsung Series 5 (29.8 to 32.1 dB) are significantly quieter. Under medium (3D Mark 06) and full load (stress test: Prime95 and Furmark), it gets really loud with noise levels of 44 dB and 44.9 dB. The Samsung (39.8 dB and 42,3 dB) works quieter than the Aspire. and the IdeaPad (31.3 dB. and 31.5 dB) also works whisper quiet under load. While idle, the device gets only moderately warmer with temperatures between 27.7 and 36 degrees Celsius. This is on par with the Samsung, but the IdeaPad remains somewhat cooler. During the stress test (Prime 95 and Furmark), which is not a realistic scenario, the V5-471G gets significantly warmer with temperatures between 27.6 and 49.6 degrees Celsius. Again, the Series 5 notebook reaches similar temperatures, but some parts get even warmer (52.2 degrees Celsius). Only the Lenovo stays relatively cool under full load. In our stress test (Prime 95 and Furmark run for at least one hour), the CPU only runs at full speed (2.4 GHz) for about 5 minutes before it slows down to 1.3 GHz (throttling) on the mains. When the stress test is run on battery power, the CPU always clocks at 1.3 GHz. In contrast, the GPU continuously runs at maximum speed (630 MHz) in the stress test regardless of the power source. We ran 3DMark 06 immediately after the stress test and the result did not differ from the cold notebook's. The CPU temperature levels off at about 70 degrees Celsius on mains. 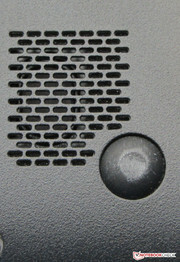 The stereo speakers of the V5-471G are on the underside. "Dolby Advanced Audio" and "Virtual Surround Sound" promise decent sound, which is not available on many devices in this category. It is thin and a little bit tiny instead. Speech is clearly audible. In changing the settings with the pre-installed Dolby Advanced Audio software, you could improve the sound. As an alternative, you can simply connect external speakers or headphones. While idle, the V5-471G profits from its frugal ULV processor. 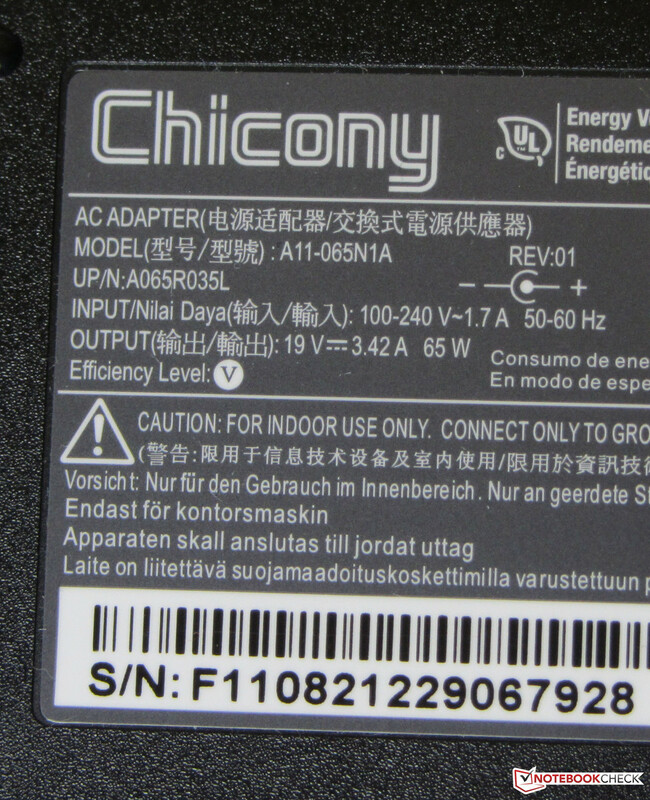 We measure a power consumption between 7.3 and 11.7 Watts. Unsurprisingly, the Samsung (7.7 to 14.5 Watt) and the IdeaPad (7.2 to 12 Watt) demand a similar amount of energy as they are equipped with frugal AMD APUs. As soon as the GeForce GPU is active, the power consumption of the Acer increases significantly. 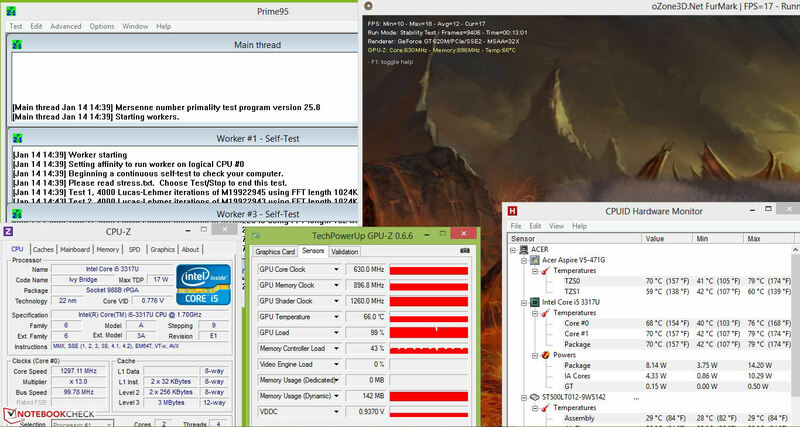 We recorded 54.2 Watts under medium load (3DMark 06) and 52.1 Watts under full load (Prime95 and Furmark). The value is lower under full load, as the CPU throttles to 1.3 GHz. The Series 5 (38.1 Watt and 41,8 Watt) and the IdeaPad (26.9 Watt and 25.7 Watt) demand significantly less power under load. In the idle mode, the Aspire is able to produce runtimes of 5:36 h, which is on par with the IdeaPad's (5:37 h). The Samsung (6:59 h) runs significantly longer. 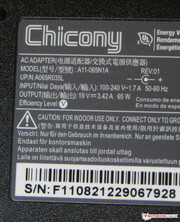 The idle runtime is recorded by means of the BatteryEater Reader's tests with minimum display brightness, active energy-saving profile and disabled wireless modules. The V5-471G runs for about 1:01 h in the load test. The S405 (1:21 h) and the Samsung (1:32 h) are able to keep operating for a longer time. To check the battery life under load, we used the BatteryEater Classic test with maximum display brightness, high performance profile and enabled wireless modules. With a single charge, the Wi-Fi test runs for about 2:26 h. The Aspire cannot keep up with its competitors here (S405: 2:55 h, Series 5: 4:19 h). During the Wi-Fi test, web pages are automatically loaded in 40-second intervals with active energy saving profile and a display brightness of about 150 cd/m². The DVD test ends after 2:44 h. Unfortunately, we do not have any comparison results from the competitors here. 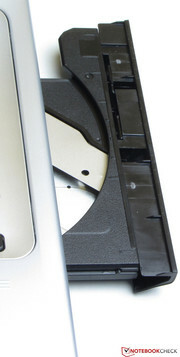 The DVD test is run with the energy saving profile (or higher if the DVD does not play smoothly), maximum display brightness and deactivated wireless modules. It is not surprising that the Samsung delivers the longest battery runtimes. It is equipped with the biggest battery (Samsung: 45 Wh, Acer: 37 Wh, Lenovo: 32 Wh). The Aspire V5-471G delivers decent system performance which suffices for most users. 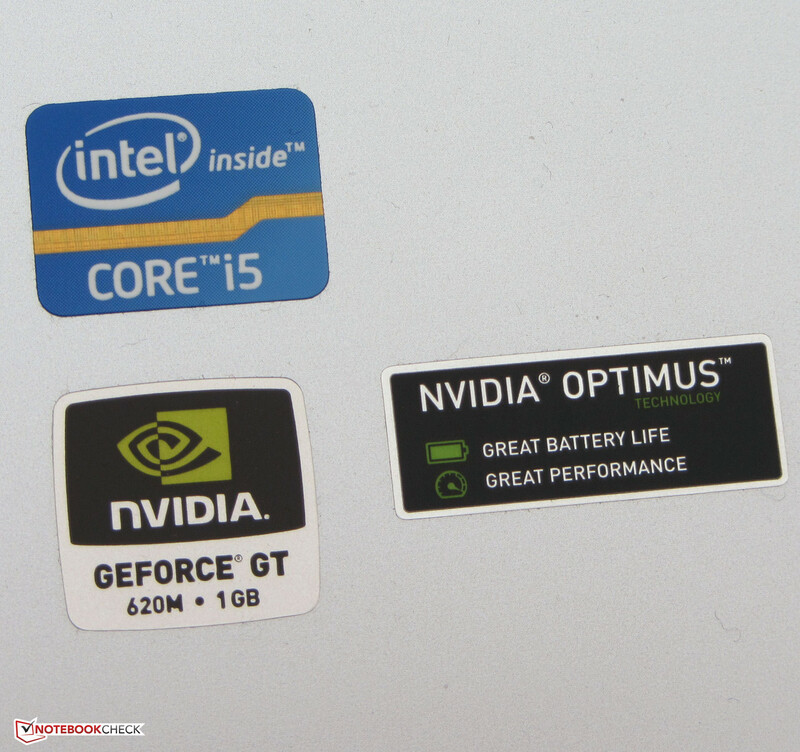 Thanks to its GeForce GT 620M GPU, it can also run some current 3D games to an extent. But, there are also disadvantages; short battery life (caused by a small battery) and the ever present system noise. In addition, the display has low contrast and narrow viewing angles. However, if you are looking for cheap, gaming capable notebook, there are not many alternatives. If you prefer a matte display and long battery life, you should consider Samsung's Series 5 535U3C. 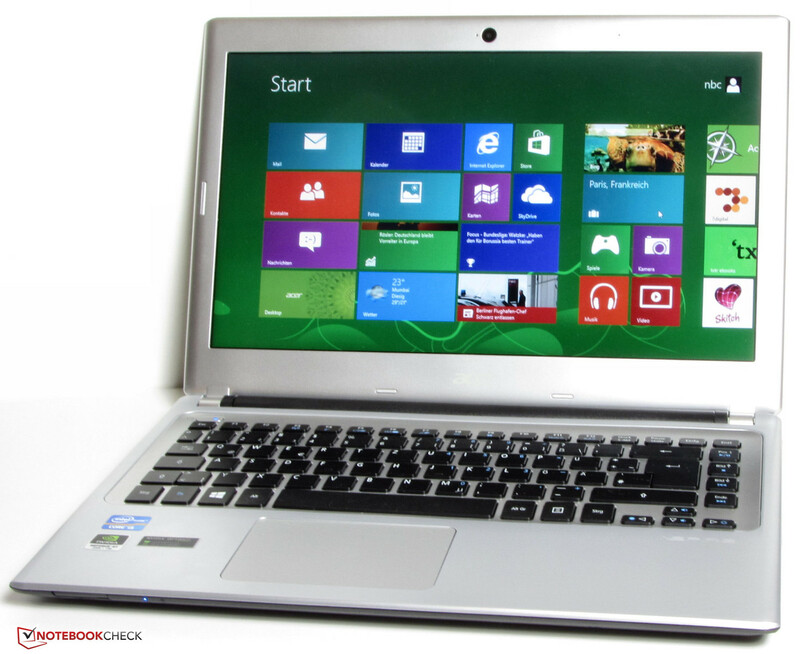 The IdeaPad S405 is a decent notebook for those looking for a very quiet and frugal notebook. It is easy to recover to the factory image. Clear.Fi Media plays video DVDs. ...and rated for 65 Watts. The battery weighs 188.5 grams and a capacity of 37 Wh. A lot of performance in a small notebook. 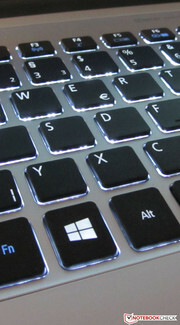 The keyboard features a backlight. 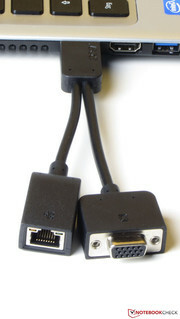 VGA and Gigabit Ethernet ports can be added on demand via slot and included breakout cable. The software "Power Button" can quickly shutdown Windows. In addition, it allows to select the action triggered by pressing the notebook's power button. 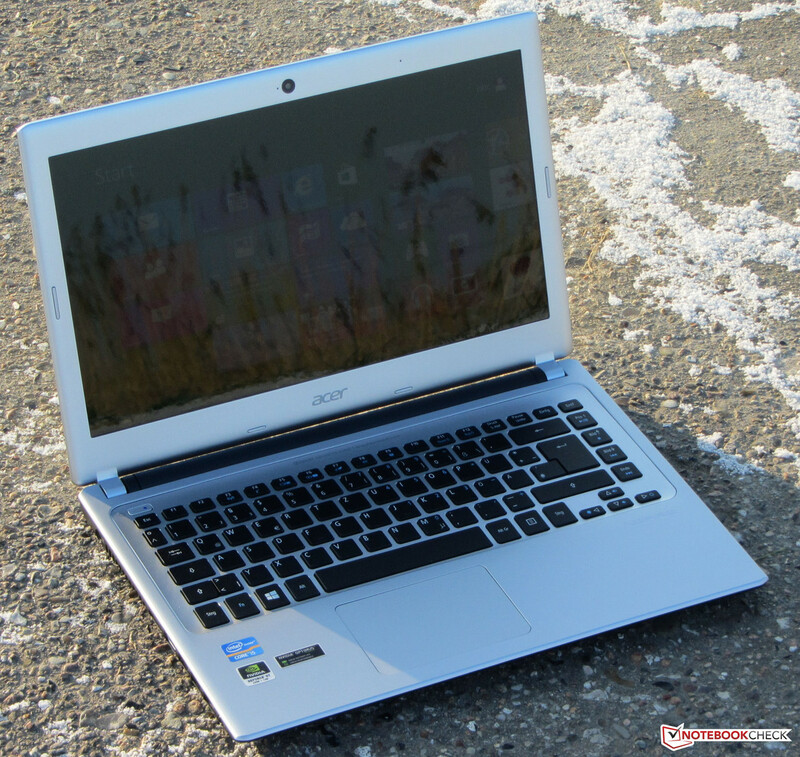 Acer uses a ULV CPU in a cheap notebook. That is unusual.